I watched the first episode of Supergirl last night, and one thing leapt out at me during the final battle: Supergirl has her ears pierced, and I can't figure out how this could have happened on Earth. She does not appear to be wearing earrings when she leaves Krypton (that doesn't mean her ears are not pierced, but typically with pierced ears you don't leave them empty or the hole will re-close). Is there an explanation/example (from any canon) of Supergirl getting her ears pierced on Earth? Update: According to the show's producer Ali Adler (via twitter), Kara got her ears pierced on Krypton. This clearly fails to explain why she doesn't appear to have pierced ears in the escape pod (!!!) but I guess that's as good an explanation as any. 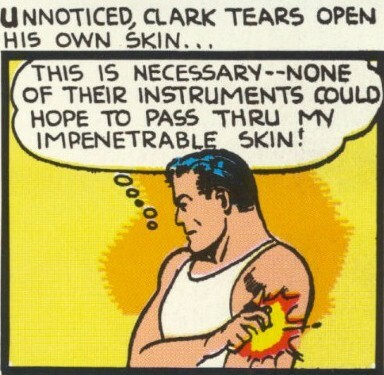 According to the original source comics, whilst Kryptonians are generally unable to be pierced by normal means, they can pierce themselves. By simply tearing their own skin. It follows that assuming Kara isn't wearing clip-ons(! ), she could have pierced her own ears (perhaps with a fingernail) or simply by using a directed beam of her heat-vision. I spent quite a while looking through all of the Supergirl-based comics I could find, and I don't see any evidence that she ever wore earrings. (Full disclosure: in most panels, her hair is covering her ears, making it a bit hard to tell.) But I'm pretty sure that her earrings are something unique to the television shows. Note that Supergirl isn't the first show to include this. In her undercover guise on Smallville, Kara Kent also wears earrings. In Supergirl, there is a chance that her earrings are not posts, but in Smallville you can clearly see the hoop rings piercing her earlobes. 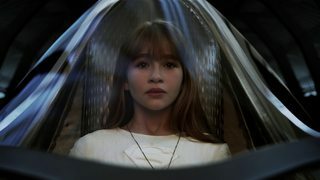 In Smallville, by the time Kara Zor-El is shown wearing earrings, Clark is well aware of the fact that Kryptonite can make his skin vulnerable; they have used kryptonite to draw blood from him, for example. While putting herself near kryptonite on purpose seems a bit dramatic, Kara may have been willing to do it for the sake of her disguise. It's less clear why Kara Danvers would be willing to do that just for vanity, but again, she lives with a pair of scientists who are the resident experts on Superman. If anyone would know how to pierce Kara's skin, it would be them. Through multiple retcons, one constant with superman's origin is that his powers manifested as he grew under our yellow sun. In the current 'New 52' continuity, his powers are said to have started manifesting during his 'childhood'. There's no specific age, but we can assume from the term 'child' that he was beyond 'infant' and 'toddler', meaning it would have taken at least 3 years before he absorbed enough yellow energy to start manifesting his powers. If we apply the same to Supergirl, it's very possible she just simply got her ears pierced before she became invulnerable. She pierced them with her heat vision and inserted a titanium Helio coil then uses normal piercings you buy at the store. Superman and Supergirl - in fact, all Kryptonians - really have one, and only one, super-power - super-telekinesis. This power works mostly unconsciously, but can be focused at the molecular level, or broadly. So when the bullets "bounce off their chest," they've actually been stopped by the telekinesis. But the point is that SUPERMAN AND SUPERGIRL DON'T KNOW THIS, because it was knowledge never revealed to the general public on Krypton (and the power is, in fact, suppressed by red-sun radiation). All they really know is what they seem to be able to do, which includes picking up a house, spinning it, and putting it back down intact with everything inside in place - and there is no way that could happen given the structural weaknesses of a house, or the inherent inertia of the objects inside, unless their telekinesis was counteracting these effects. This telekinesis also acts as an "early warning system," extending their perception to threats they can't see, and extending their "vision" telescopically or microscopally. Thus, when Supergirl wants pierced ears and isn't thinking about being invulnerable (or doesn't subconsciously perceive a threat), piercing her ears is no problem. Even if it had been done on Krypton (highly unlikely IMO for an 8-year-old daughter of two prominent government officials), she should be able to have additional piercings on Earth without a problem. If a fictional character in a movie or TV show has pierced ears, is it really both the character and the actor who have pierced ears, or merely the actor? If, for example, a character does not wear earrings but a close up of her ear when she uses her super hearing shows pierced ears, the character may be someone with pierced ears who is not wearing earrings at the moment, or the character might not have pierced ears but happens to be portrayed by an actor who does have pierced ears. In the latter case the pierced ears of the actor would not be any more important than a butterfly which fluttered by during an outdoors scene, and would simply be a minor unintended aspect of filming the show or movie. Since the earrings were actually shown in the scene, there are several possibilities. 1) The character and the actor are both wearing clip on earrings in the scene and don't have pierced ears. 2) The actor wore clip on earrings to portray a character with earrings in her pierced ears. 3) The actor wore earrings in her pierced ears to portray a character with clip on earrings in her non pierced ears. 4) The character and the actor are both wearing earrings in the scene and have pierced ears. 5) The character has non pierced ears and was not supposed to be wearing earrings in the scene but nobody noticed that the actor was wearing earrings. 6) Nobody in the production thought about whether the character has pierced ears or not. Thus it is uncertain whether Supergirl is supposed to have pierced ears. If it is determined that Supergirl is supposed to have pierced ears, fans may select the e theory which seems best to them to explain how they were pierced, until a canonical explanation is given. 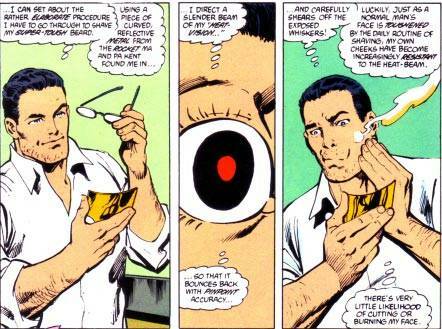 For example, if Supergirl met Superman in the first episode and spent some time with him off screen, she might have asked him to use his heat vision to vaporize small holes in her ears, in addition to other suggested methods. Why are we assuming that those ears were "pierced" (manually) by anyone? Supergirl is an alien. Maybe her ears naturally grow to have a small hole near the bottom? Not the answer you're looking for? Browse other questions tagged dc arrowverse supergirl-2015 or ask your own question. 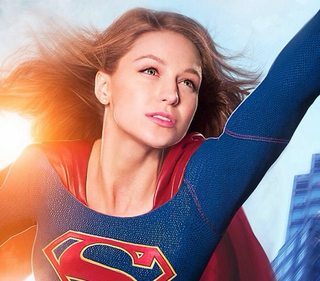 In the 2015 Supergirl pilot, why do they avoid saying “Superman”? How long did Kara live on Earth before becoming Supergirl? How does Supergirl hover or fly? How did Master Jailer attack Supergirl in Episode 14? Why didn't Mon-El land at the same time as Superman?